Fukushima, Japan, was the scene of a major nuclear accident, caused by the major earthquake and tsunami on March 11, 2011. The tsunami flooded the facility, damaging equipment and prompting the meltdown. 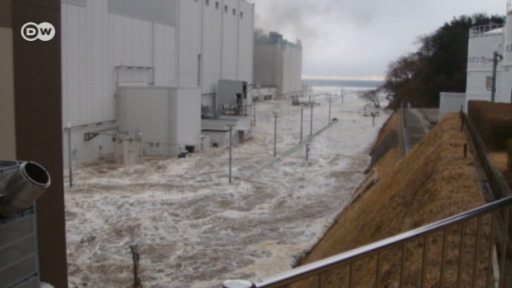 The devastating magnitude 9 earthquake and a subsequent tsunami killed an estimated 20,000 people in Japan; the flood damage at the Fukushima Daichi nuclear facilitiy triggered the worst nuclear disaster since Chernobyl. Three of the plant's six reactors went into meltdown. Work continues to clean up the site and return residents to their homes near the facility. This page collates recent DW content on Fukshima. DW reporter Kiyo Dörrer will be heading out to Japan shortly to take a closer look at the nation's post-Fukushima changes. If you have any suggestions on what she should focus on, let her know on Twitter @KiyoDoerrer. Japan has agreed to pay compensation to the family of a man who died of cancer after measuring radiation levels at the Fukushima nuclear plant. UN rights experts said Toyko put "tens of thousands" of workers at risk. UN human rights experts have said the workers, most of them migrants, risked "exposure to radiation and coercion." They have called on Japan to protect the workers cleaning up the damaged nuclear power station. Seven years after almost 20,000 people died in an earthquake and tsunami that devastated northeast Japan, experts fear that Monday's tremor could be the harbinger of the much-feared rupture of Nankai Trough. The Fukushima disaster in 2011 swept away support for nuclear power and led to a rise in fossil fuels. Six years on, Japan is taking steps to restore its atomic energy capabilities. Four million euros compensation: The plaintiffs' lawyers announce their success in court. The 3,800 residents of Fukushima, victims of the nuclear catastrophe there, will receive compensation from the government and the nuclear power company Tepco. Japan's largest nuclear power plant has been declared safe by regulators, prompting renewed concerns from critics that operator TEPCO has not learned the lessons of the 2011 Fukushima disaster. Julian Ryall reports. Images from an underwater robot showed large deposits of what is thought to be melted nuclear fuel at the bottom of a damaged reactor at Japan's Fukushima nuclear plant. If confirmed, it would mark a major milestone. Japan's nuclear energy sector is riven by poor management, is overly bureaucratic and staffed by people who no longer have any pride in their jobs. So accidents are inevitable, say critics. Julian Ryall reports.